"Today, increased knowledge and trust in logic has, unfortunately, shaken our faith to its foundfations and filled our souls with question marks and doubts. This is why we don't have miracles anymore, because a miracle cannot be explained logically, it can only be experienced. But faith in God will bring down divine power and overturn all human expectations. It will perform miracles, resurrect the dead and astonish science. From the outside, all things pertaining to the spiritual life seem upside down. Indeed, the mysteries of God will be impossible to know and will appear strange and contrary to nature as long as we don't overturn our secular mindset and see everything with spiritual eyes. Those who believe that they can come to know God's mysteries through mere scientific theory, without a spiritual life, resemble a fool who thinks he can look through a telescope and see Paradise." I found this short list of some miracles that happen continuously, and are a constant witness of the Grace of the Holy Spirit in the Holy Orthodox Faith and traditions. You may have heard of some or all of them, but if not, may these help renew our zeal for the Faith, if only in a small way. They are translated and re-worded from http://agiooros.freeforums.org/topic-t828.html , from Nicholas Zachariades from the book: «Εμπειρίες από τον αμίλητο κόσμου του Άθω» Τόμος Β’ Πύργος Ηλείας. "1. Did you know that the flowers and basil from the Holy Cross that we get from the priest on the feast of the Exultation of the Holy Cross can catch yeast, and because it makes the dough rise wonderfully, we can make bread [prosforo] for the Divine Liturgy? 2. 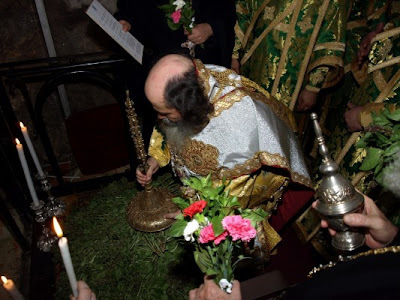 Did you know that holy water that is blessed in church by the Orthodox priest for the Holy Feast of Theophany or any other feast, as long as you keep it, will not spoil? 3. 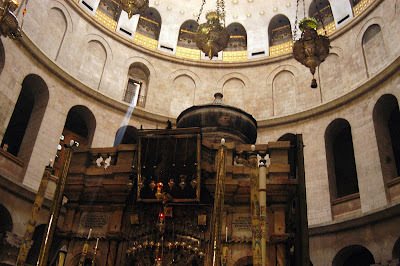 Did you know that in Jerusalem at the All-Holy Tomb of Christ, every year on Holy Saturday a Holy Fire miraculously comes only to the Orthodox Patriarch? A pilgrimage will convince you. 4. Did you know that at Mount Sinai where the God-seer Moses saw the Burning Bush that was not consumed, when a stone is broken open, on the walls are depicted the Bush of the Prophet Moses? 5. Did you know that when monks die in the monastery of St. Savas in Jerusalem, their bodies do not freeze or dry-out or smell and they do not bury them in the soil but put them in a room? 6. Did you know that on the head (the bone) of the fish «Goulianos» which lives in Lake Gennisaret is depicted the Baptism of Christ in the Jordan River? 7. Did you know that every year on Mount Tabor in Jerusalem on Aug. 6, the Day of the Transfiguration of our Savior, a light-bearing Cloud appears, which covers the site of the monastery and illuminates the perimeter all night? [Another summary by Archbishop Seraphim of Canada (http://www.archdiocese.ca/e_bishop/desk/2008/2008.08.19Sermon.htm): " Some of you will remember Archbishop Nikolai of the Patriarchal Jurisdiction who was bishop in this area a long time ago. When I was visiting him one time, he told me how it was when he was an archimandrite in the Middle East a very long time ago. In those days, he always had to go to Mount Tabor to serve the Liturgy on this feast-day. Always on the feast of the Transfiguration (and I didn’t realise it, but I learned this year that it happens on both old and new calendars), at night-time, at the time of the vigil...there are clouds already gathering around the top of Mount Tabor. (At this time of year in Palestine there are no clouds at all – just sun, sun, sun.) The people go into the church on the top of Mount Tabor, and they are praying in the middle of the night. During this time, this cloud, which is not exactly like ordinary clouds (they say it has a different quality of some sort), comes down on top of the mountain. Archbishop Nikolai says that instead of bringing all their fruit into the church, the people leave it outside. The cloud comes down, and when they come out of the church in the early morning, everything is all wet. The people understand that God, Himself, has blessed their fruit. This happens every year. I heard from somebody who just came back from there who was there on August sixth on the new calendar, and it happened then, too. It is happening on both feasts. The LORD doesn’t care too much about the calendar; He cares about us, and reassuring us with His love..."
8. 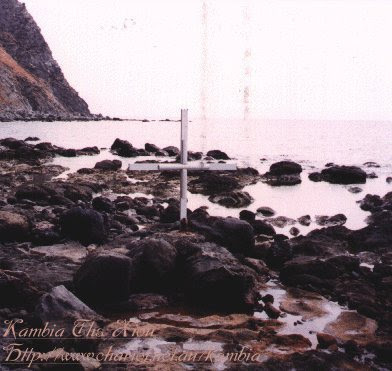 Did you know that when celebrating the Holy Martyr Markella in Chios, when the priest and the people visit the place of her martyrdom near the coast, and chant her Paraklesis [Supplication service], the sea water becomes heated and boils with bubbles, and as soon as the Paraklesis finishes, all these phenomena stop? 9. 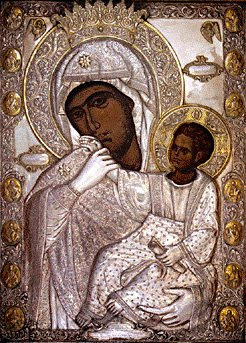 Did you know that in the Monastery of Panagia near Malevis in Tripoli is an ancient icon of the Theotokos which mysteriously makes myrrh that is highly fragrant? 10. Did you know that on the Holy Mountain [Mount Athos] the Virgin Mary has spoken many times with the monks to protect them from dangerous pirates, such as happened in the Monastery Vatopedi with the Holy Icon of the Panagia "Paramythia" [of Consolation?]? 11. Did you know that every year during the feast of the Theotokos [from August 6th to the 15th] in Markopoulo of Cephalonia [an island in Greece] snakes appear on the icon of the Virgin Mary and do not bite the pilgrims?" [This is a very real miracle that happens every year. A multitude of small snakes fill the holy church of the Theotokos only from August 6th-15th, they have small white crosses on them, they never harm anyone, they climb all over the icons in the church, and immediately after the feast, they disappear and are not seen for another year. For more info see: http://www.youtube.com/watch?v=F5Za9-uX4b8&feature=related , http://orthodoxwiki.org/Holy_Snakes, http://www.johnsanidopoulos.com/2009/08/holy-snakes-of-virgin-examining.html]. -The Jordan River reverses its flow - Every year when the Orthodox celebrate the Great Feast of Theophany, and during the Blessing of the Waters, the Jordan River, in which Christ was baptized, turns back and reverses its flow. Here is more information and a video: http://frmilovan.wordpress.com/2009/01/19/the-jordan-reversed-its-flow/, http://www.youtube.com/watch?v=s1t5CFClsBk. -St. Nicholas the New and the flowing blood - Every year at the feast of St. Nicholas, the new Righteous Martyr of Vounena, Greece, a miraculous and wonderworking liquid like blood flows from the place of his martyrdom. See the following post for more details: http://full-of-grace-and-truth.blogspot.com/2009/05/st-nicholas-new-righteous-martyr-of.html. 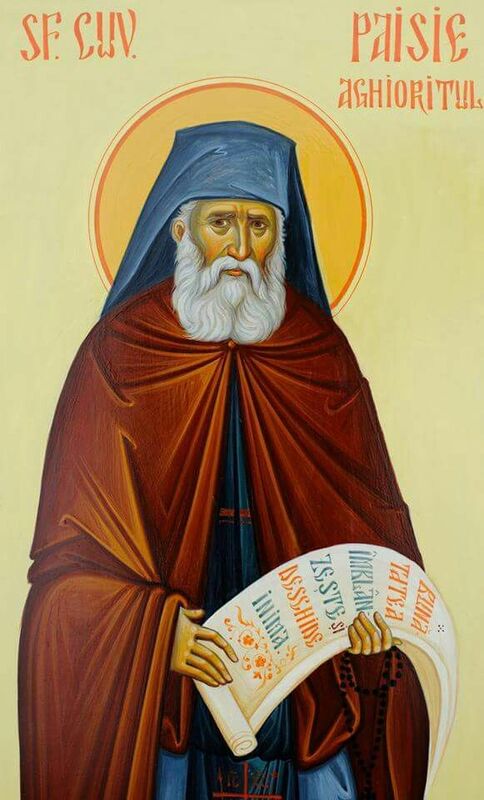 At the Sacred Monastery of Saint Anthony the Great in France ( a metochion of Simonos Petra of the Holy Mountain of Athos), Father Seraphim was used to making prosphoras using blessed water in the dough to make it rise! It does work! After reading your blog with the miracle of the rising dough with basil, I searched and found this website (in Greek) which explains how the dough rises with the basil. Briefly explained, according to custom, some women take the fresh basil from the feast of the Precious Cross (9/14) or from the 4th Sunday of Lent (Veneration of Cross) and place the blessed branches in the shape of a cross on top of the pan containing a batter of only warm water and flour. Other women boil the basil in water and use that water along with flour for the batter/dough. The dough rises without the addition of yeast. At the Vatopaidi monastery on Mt. Athos, the monks who make prosforo were observed placing the pans of dough (water and flour only) on a shelf and on another shelf above that was placed the basil and the cross from the liturgy the Veneration of the Cross. The dough rose with the miraculous power of the Holy Cross.